Graphic format seems to be a great way for young people to share their life stories if the number that have been attracting my attention is anything to go by. 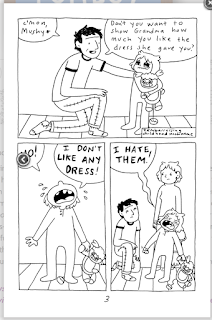 (See my posts on Dare to disappoint - growing up in Turkey, by Ozge Samanci Drama by Raina Telgemeier and Little Fish by Ramsey Beyer). 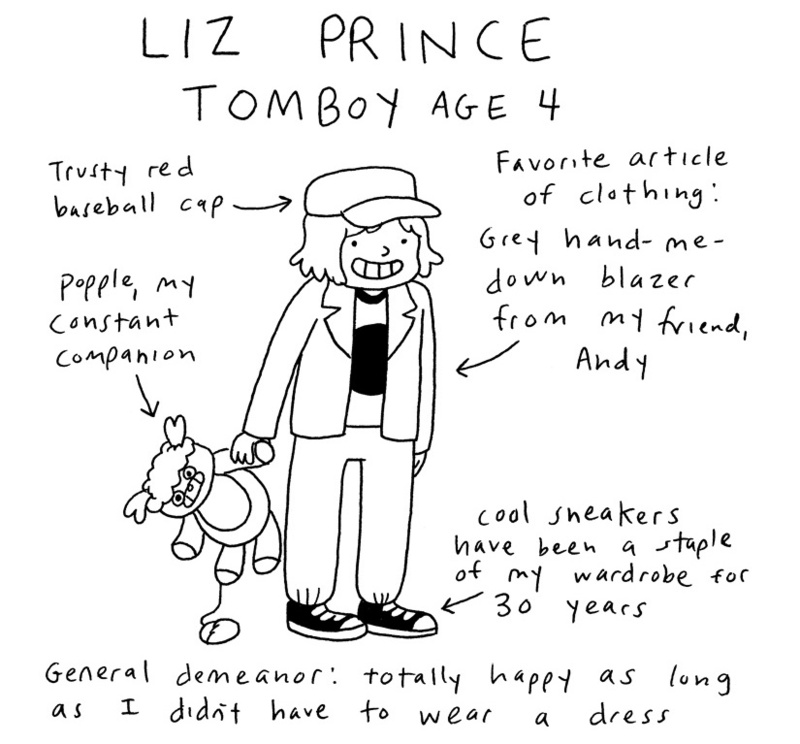 Gender issues abound and Liz Prince tells the story of growing up as a tomboy, and what that meant to her, and how it reflects our society and what the social pressure to appear a certain way has to say about us. 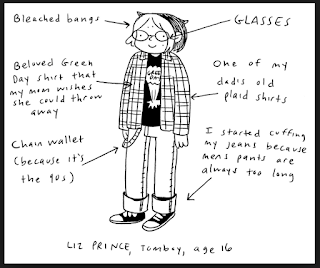 Liz didn't want to be a boy, she isn't gay, she just wanted to be herself, but she didn't want to follow the rules that society expected of her as a girl, regarding the clothes she wears, the games she plays, who her friends are and how she behaves. 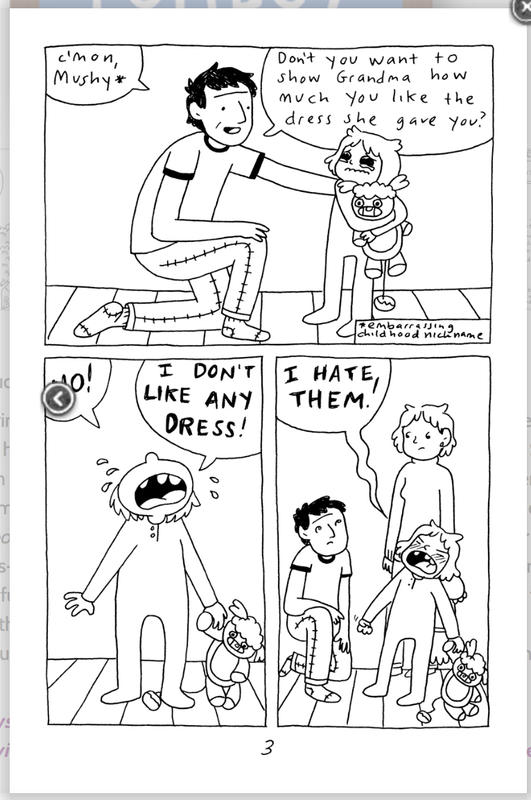 Fortunately she was a determined young girl who knew what she wanted and kicked up a stink when others tried to make her fit/wear the right clothes/behave the 'right' way. I particularly admired her when she persuaded school authorities to let her wear a jacket and tie for 'formal day' instead of the very unsuccessful dress the rules said she had to wear. 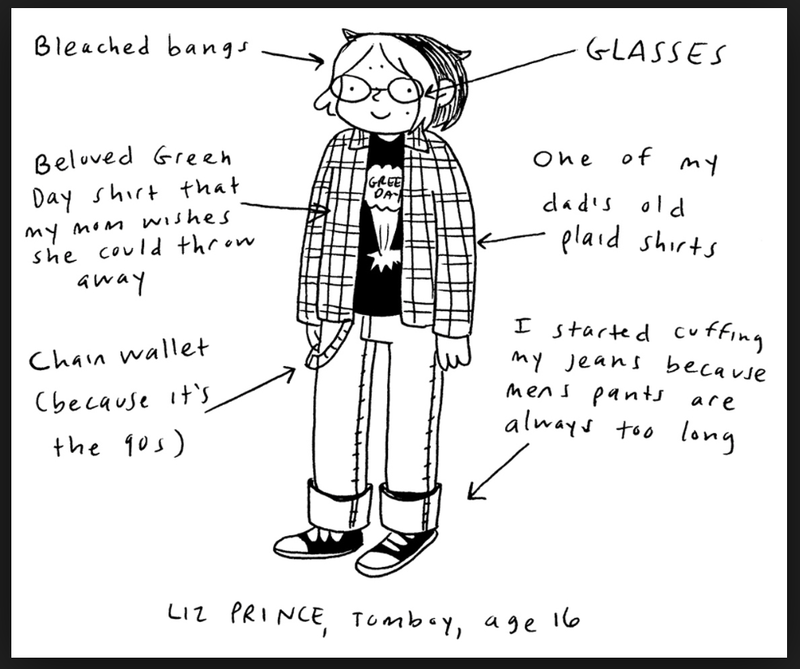 I love the way Liz found her style when she was very young, and has stuck with it. This is what she is happy with. 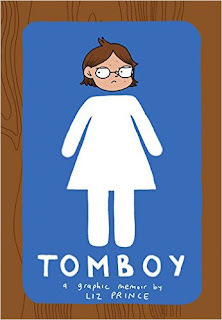 I'm going to be boosting the stock in my intermediate school library with books like this where I know some of my students will find not only people to identify with and examples of standing up for yourself, but also a way of sharing their own stories. Graphic storytelling is going to be part of what we do in our Book Week this term. You can find a useful Study Guide here if you'd like to use this book in the classroom. 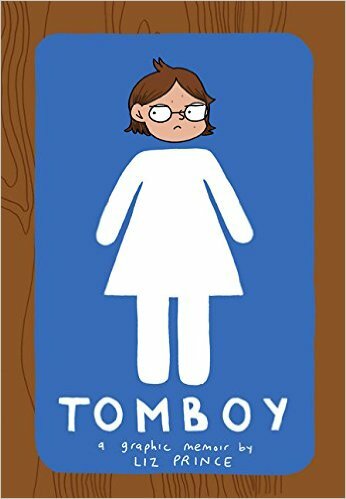 Labels: AKA Rainbow, gender, graphic, identity, Kirkus best books, liz prince, memoir, study guide, tomboy, YALSA great graphic novel, YALSA quick pick.